First of all, let me wish you to you all a Happy New Year! Before 1989, I used to dream of Europe like many other Romanians. I first learnt about Europe at home. While facing difficult times, both my family and my readings taught me what Europe stands for: civility and culture, reason and responsibility, initiative and imagination, and above all, freedom. After the collapse of communism, my dream of Europe became an aspiration that could be shared in public. Only a few people remember probably or even care about Romanian citizens’ enthusiasm during the integration process. I even dare to claim that nowadays we are still the most European-centred country in Europe. Romanians have always regarded their Europeanness as natural, as an important part of their national identity. I have to confess, my dream and my aspiration regarding Europe turned into one of my most cherished personal accomplishments. 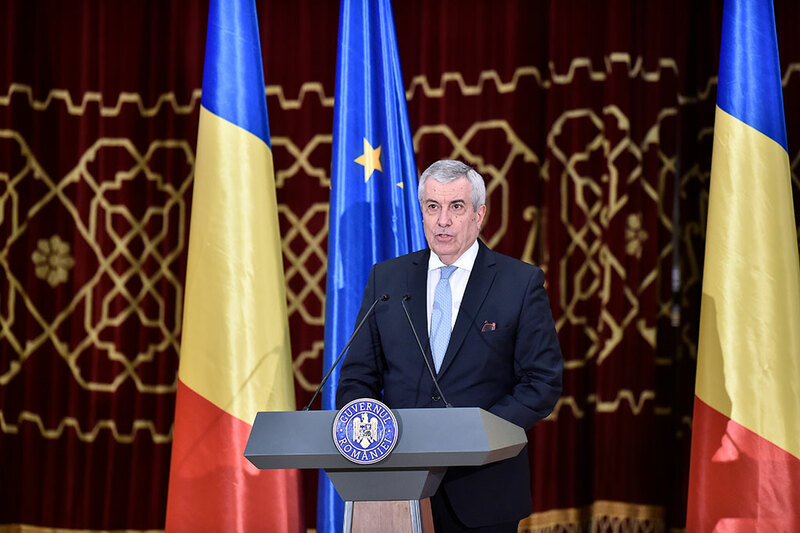 As Prime Minister, I had the privilege and responsibility to complete the negotiations and lead Romania into the European Union on January the 1st, 2007. In the meantime, Romania has come of age as a European nation. Although the standard of life, the quality of individual rights and freedoms, and the gross domestic product may still need improvement when compared to the European averages, they have increased a hundredfold in the last three decades. For instance, we enjoy such a high degree of freedom of speech that it has become sometimes difficult to make sense of what is really going on in politics or the economy because of so many competing versions of reality provided by the media and the social media. It is nevertheless fair to argue that the inclusive dimension of the Romanian state represented by the public administration and the healthcare, education, labour and social security services has been almost fully Europeanized. However, I cannot argue the same about the coercive dimension of the state. As a reminiscence of the communist past, some institutions and decision-makers are still holding on to the unchecked power they have previously indulged in. These actors have simply replaced the ideology of socialist legality with that of the rule of law, keeping their habits and claiming the same unaccountability they collectively enjoyed before 1989. I hope that during the Presidency of the Council of the European Union, the authorities of my country will be able to shed more light on this paradox. I am confident that they will clarify for the public eye what are the institutions that have been indisputably transformed in the European spirit and which of them are still hanging on the past, sometimes under a European disguise. Such clarifications should provide enough reasons to our fellow European decision-makers, both in Brussels and in the member-states, to leave behind some of the current misconceptions about the Romanian public life. Thus, I would encourage all parties involved in this Presidency to be mindful of the legacy of our Founders. Seventy years ago, our Founders designed Europe as a community, and not as a mere international organization or an association of states. In this spirit, our Union has been ever since – or better said should have been ever since – a community of communities, a fellowship of governments, societies and citizens based on trust, solidarity and mutual respect. Our Founders probably had a dream of their own. They envisioned a Europe free from any form of diktat politics and national or bureaucratic arrogance, a Europe without leading great powers and second-rate followers. For each and every single one of us, the upcoming European elections represent an excellent opportunity to make our Founders’ dream come true: to make the European Union completely free for democracy, and free at last from both political dirigisme and populism!